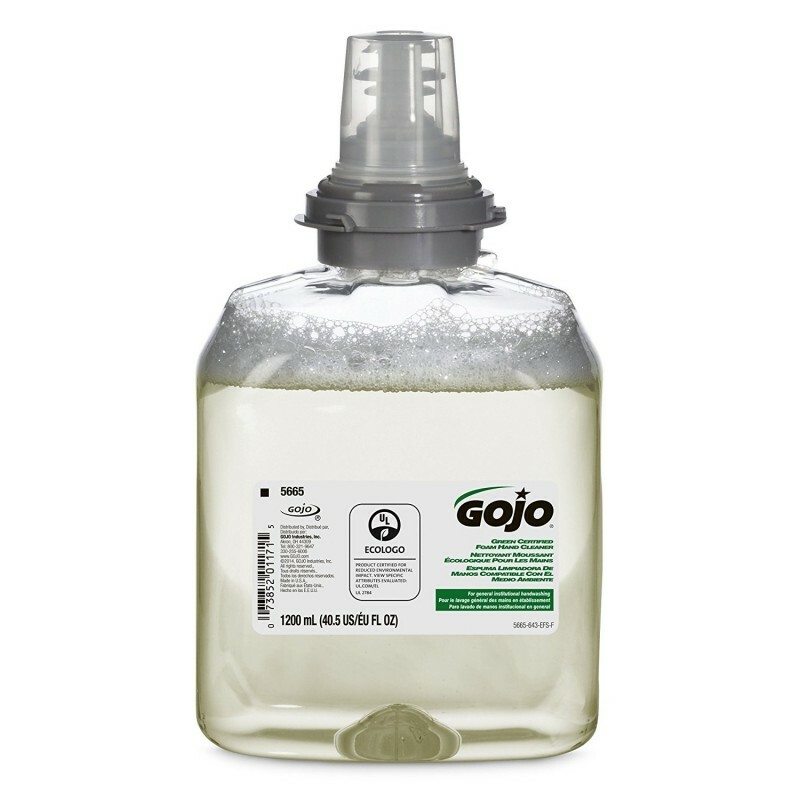 A component of the TFX System from GOJO, TFX refills deliver spa-inspired soaps that are factory-sealed to lock out germs and provide a positive experience for your customers and guests, all while simplifying your maintenance routine. Today’s modern bathrooms are touch-free for reduced germ contamination, and ease of use. Technology has enabled a virtually hands-free experience, the kind that patrons prefer. The TFX System is a superior solution. Based on more than 50 years of research and development leadership, touch-free TFX Systems help to limit the spread of harmful bacteria that can be found in bulk soap systems. Maintenance costs are reduced due to reduction of dripping (less drain maintenance) and by providing a fresh pump and nozzle with every refill for no contamination and no need to clean dispensers. Employees and patrons will appreciate a superior hand washing experience with healthy solutions and pleasing aesthetics. The TFX System provides a great hands-free fit for modern bathrooms and shared sinks in locations such as health care facilities, office buildings, schools, daycare centers, food service and salons. Simply place hands under the dispenser and the touch-free technology provides the recommended one-dose application. It also reduces cross contamination for a healthier environment and cost control. TFX refills are easy to load. Simply pop it in, with no tools required to lock in place. To remove empty refills, just press the lock release button and lift the refill up and out of the dispenser. 1 in 4 bulk soap systems are contaminated with potentially harmful bacteria. Every TFX refill is sanitary sealed at our factory to ensure no germs, no health risks and no mess while refilling. Every new refill comes with a fresh nozzle to eliminate contamination. TFX refills are constructed of durable and recyclable materials. The bottles can be easily recycled by removing the collar and placing the bottle in your standard recycling stream. 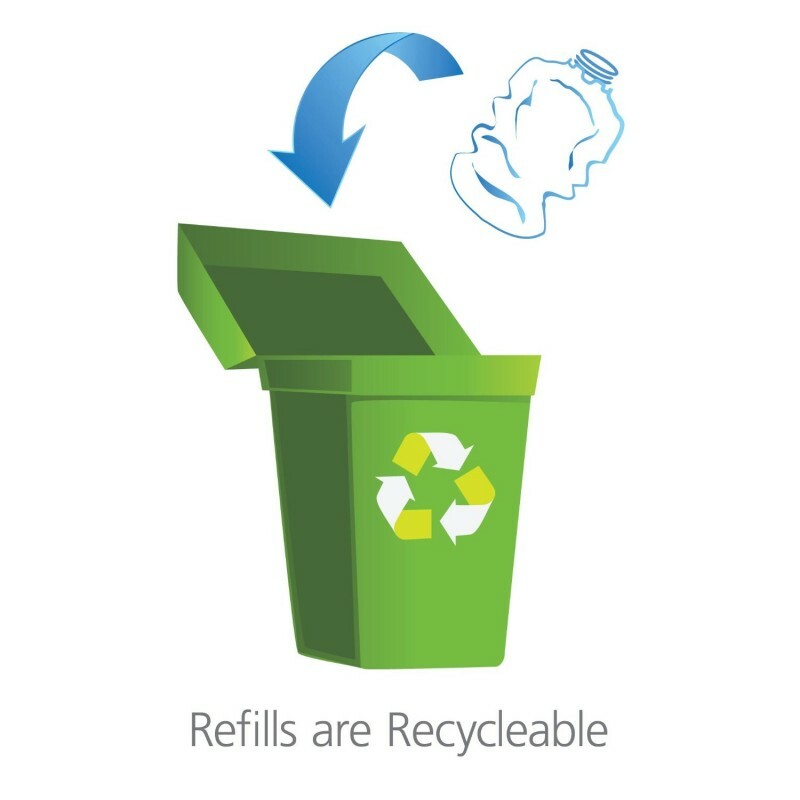 For high-use locations TFX refills reduce the amount of plastic entering the waste stream vs. individual bottles. One 1200 milliliters TFX refill contains less plastic than five 8 ounce bottles. GOJO offers a wide variety of soaps from green certified to antibacterial, from spa-inspired luxury to specialized formulations for high-frequency use. Whatever your cleansing needs, GOJO has the soap. 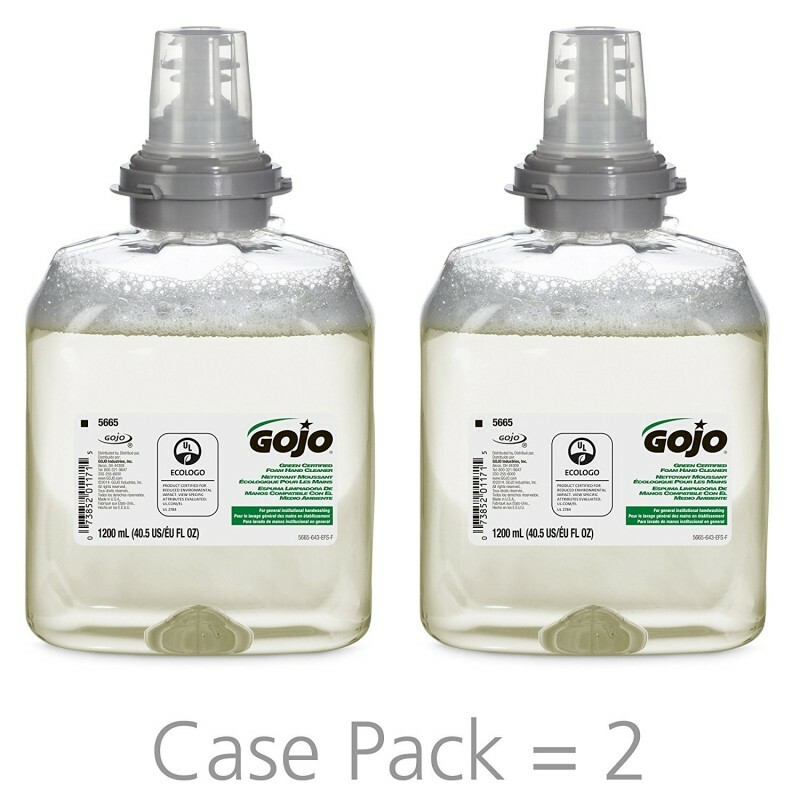 GoJo bottles are not designed to be refilled however it is possible to do so if you want. Reference this video link to see how it can be done. This can save you significant money on refills in the long run. Note that these instructions are for the ADX-12 style bottle but the application should still apply to the TXF bottle.